suspect that they will come to see the value of providing airport-wide free access to the internet and the short sighted nature of their attempts to "nickel and dime" any customer passing through the airport. The two pictures embedded with this post tell the whole story. Just click on the thumbnails to the left to see a larger version of the picture. 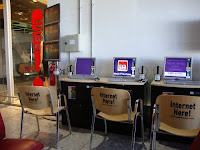 Note that the first picture is from an internet area at Heathrow and contains the chairs with "Internet Here!" on the background. 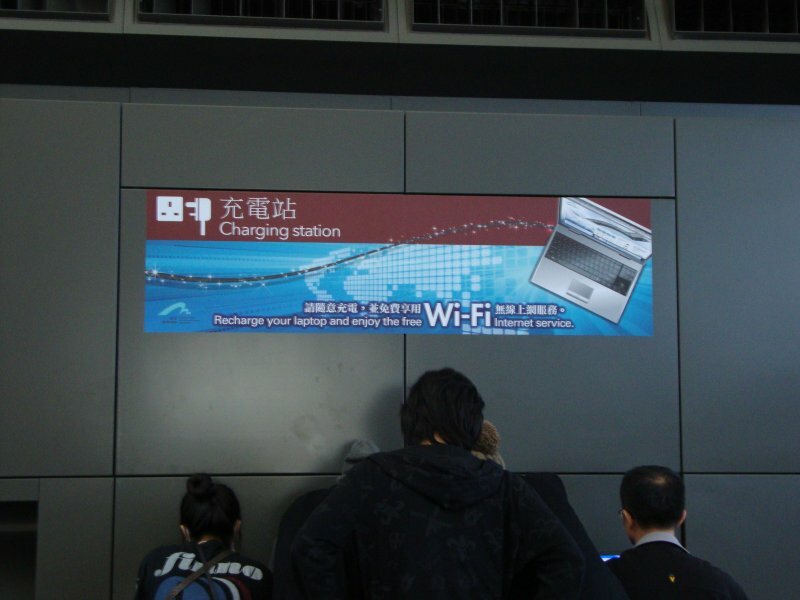 The screen displaying "free access" in this picture is intended to entice users for what is really a paid access service. A link on it leads to a small set of public service pages.